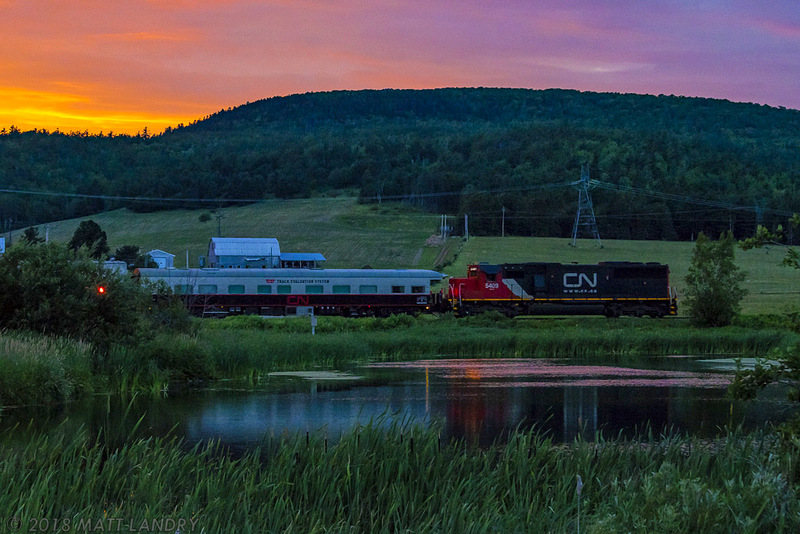 Railpictures.ca - Matt Landry Photo: In the nice glow of a fiery sunset, test train O998 passes McCullys pond, just east of the now shut down Potash Corp facilities. | Railpictures.ca – Canadian Railway Photography – photographie ferroviaire Canadienne. Caption: In the nice glow of a fiery sunset, test train O998 passes McCullys pond, just east of the now shut down Potash Corp facilities.